Fiddle vs. Violin: Is There a Difference Between Fiddle and Violin? Violins have been used throughout history’s various nations and cultures in various genres of music, most commonly in jazz, folk and classical. They were introduced in the early 16th century as “fiddlers” and their physical aspects typically consisted of four or five steel core strings, while their body was lengthy with an arched neck for cleaner notes. They were played with a bow. The question that confuses many people is whether there is a difference between a violin and a fiddle. Fiddles are generally a more traditional version of the violin. They are typically used in folk and bluegrass music, and are extensively used in Celtic cultural performances. Fiddles appear almost identical to violins; the appearance consists of a long shaped neck with slightly less arch as compared to a violin. 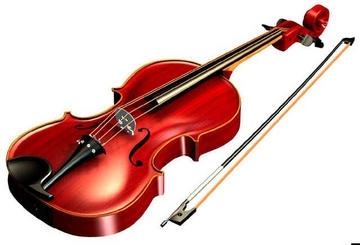 Normally, a violin contains four strings: the G, D, A and E strings. On the other hand, a fifth string has been introduced for fiddles, and is known as the C string. Hardanger fiddle, also called the “hardingfele,” is one common example. It is a type of fiddle containing eight or nine strings, usually made of sheep gut. After being first introduced by Ole Jonsen Jaastad in 1951, it became common in Norway and is now widely used for traditional and religious purposes. There are usually variations of tones required in fiddles and violins. Similar to a guitar, the style of fiddling tends to use a lot of string bending and multiple stop bowing, whereas the violin requires a cleaner, single-noted tone. The difference in tones gives off the impression that preference might be based solely on the sort of techniques that a musician desires to acquire. From the philharmonic orchestras to performing at local gigs, the preference all depends on the musician’s intention. Violin-related performances are usually composed beforehand, and they demand every note to be played according to the composer’s rendition. This creates room for accuracy as most of the violin players are usually taught professionally. Fiddles commonly tend to improvise their own music, which gives off a chance for the musician to exhibit their natural musical abilities and provide more freedom during the performances. With both the violin and the fiddle, their style and momentum can be varied, depending on the genre of music being played. For instance, violins are used for jazzy tones as they include much warmer, single-noted tones. However, it cannot be said as to which might be more favored, as mentioned earlier that it depends on the resonance, genre and technique of music that a musician wishes to acquire. Server responsed at: 04/26/2019 3:53 a.m.